Chapter 1 will set out the development of English as a field of serious scholarly inquiry and the development of literature into what we generally understand by that term today. • In the 18th century, literature did not refer to ‘creative, imaginative’ writing – fictionality did not guarantee status, and indeed the novel was held in dubious esteem. • Literature was rather a category of writing that reflected particular taste and values; it was for belles lettres. In other words, literature was a literature reflecting a particular ideology. Why was ideology-building important at this juncture? • We are talking about the moment following the years of civil violence – the Restoration, the Glorious Revolution. That period had been marked by inter-class agitation and polarization. There was a natural appeal in such neo-classical concepts as: Reason, Nature, order and propriety. The middle class had to become compatible with aristocratic sensibilities. • Searching for ‘felt experience, personal response or imaginative uniqueness’ in literature is a modern preoccupation, inherited from the Romantics and the 19th century. • Similarly, ‘prosaic’ acquires negative connotations during the Romantic period. Why did the Romantics privilege imagination over fact? What does it say about their age (or relationship thereto)? • It is the period of French and American revolution; it is also an economic boom period for England. So, great change is in the air. Romantic writing was full of enthusiasm for such energetic convulsions. But they would grow frustrated. England’s industrial middle class was ideologically conquered by ‘a crassly philistine Utilitarianism,’ which ‘fetish[ized] fact, reduc[ed] human relations to market exchanges and dismiss[ed] art as unprofitable ornamentation.’ This is a time of wage-enslavement, labour-alienation, absolute commodification. The working class resists; the upper class has fresh memories of revolution; and the conditions of a police state are enacted. • So, ‘creative imagination’ wasn’t simply for ‘idle escapism,’ but, in an industrialized society indifferent/hostile to such things, rather was one of the few/only opportunities to celebrate and affirm creativity. 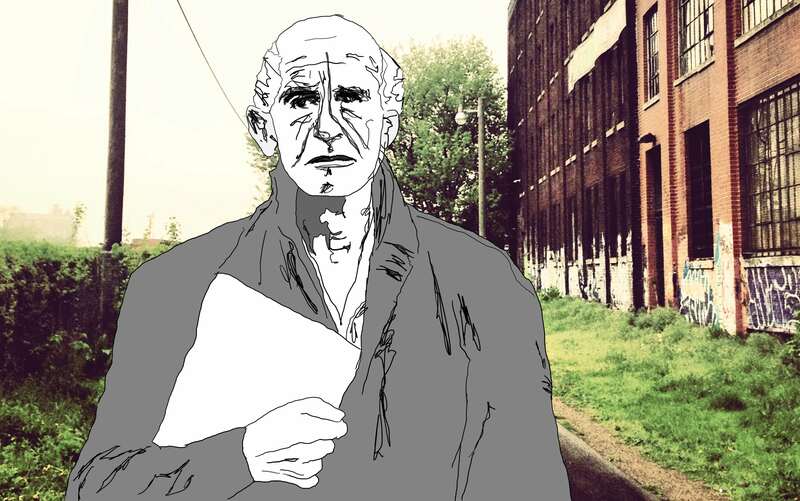 • Moreover, ‘imaginative creation’ can be seen as opposed to industrialism: the literary work is unified, in contrast to the ‘fragmented individualism the capitalist marketplace’; it is spontaneous and autotelic, not calculated, creative, not calculated. It is a vehicle to criticize rationalism and empiricism. Most major Romantics were activists. *However: The creative as a discrete force opposed to prevailing ideology becomes a discrete force aloof from prevailing ideology – it becomes ‘sovereign’ and ‘autonomous.’ It becomes less a challenge to ‘anaemic rationalism,’ and more of an absolute alternative. • The isolation of the Artist is total and consistent: for industrial society saw art as commodity like anything else, and a minor one at that. The artist didn’t actually speak for humankind; the artist was marginalized, underpaid, and not particularly respected. The longing to realize justice gave way to the nostalgia for a just society, now departed. • The was possible precisely because art found itself isolated from the larger society: literature has no obvious, Utilitarian function. So, its worth was self-evident. And this understanding was projected backwards in history, and applied even to art that was more comfortably within society. • Symbolism is central to romanticism. It allows the resolution of insoluble societal conflicts (‘material and spiritual, order and spontaneity’, e.g.). Where objects produced by human labour are seen as commodities, they are divorced from the human subjects who produced or used them. Rationalists can’t appreciate sensuousness; empiricists can’t glimpse the global, the cosmic, the universal. • Progress was encouraged, but orderly progress. Symbols could express such tensions. *The symbol gave a material body to a-critical, intuitive, spiritual truth. It was irrational; you get it or you don’t; it’s not for explaining. Analysis, dissection – these were unwelcome practices. • The symbol is unitary. Its parts are necessary for its whole; there is a common good. Which is why the symbol is so regularly offered as a model for an industrialized society. 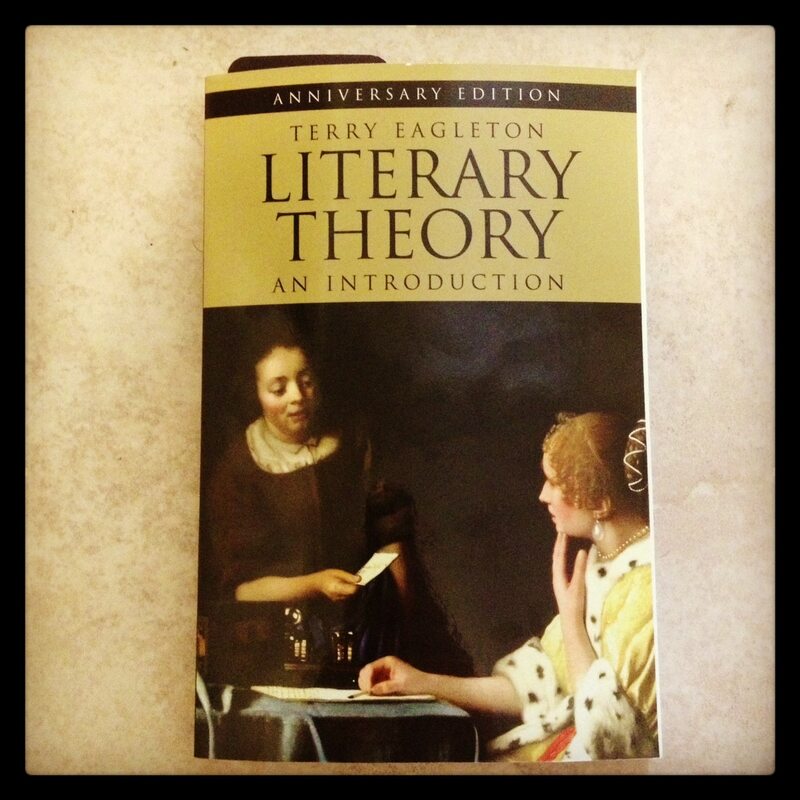 • Literature IS ideology; it’s intimately related to social power. It could be argued that it seized the territory forfeited by religion. • By mid-Victorian period, religion’s dominance was waning. Scientific discovery and social change were undermining it. *The diminution of religious ideological control troubled the élite, since religion is effective for control. Effective why? Effective because it’s not explicitly doctrinal (or, anyway, doesn’t depend on such) – no, it leverages ‘image, symbol, habit,ritual and mythology. It is affective and experiential, entwining itself with the deepest unconscious roots of the human subject’. It also is flexible enough to mean different things to different classes. It resists rationalism and is unfalsifiable like the symbol. And it pacifies, is a cult of meekness and self-sacrifice. • There were some advocating for the study of English as a replacement for religion and a panacea against national sickness (whatever that is). Prof. G. Gordon of Oxford ID’ed English’s now three functions: to delight and instruct, but also ‘to save our souls and heal the State.’ Religion is increasingly unable to provide cohesion and identity to this class-society; English is supplied as an alternative. • Matthew Arnold is a major figure for the movement/moment. He wished to ‘Hellenize’ the middle class, who lacked a rich ideology to match their influence. He intended to share aristocratic ideology, even as the aristocracy was dominant power to the middle class. State-established schools were one vehicle for this spiritual transference. • Per Arnold, this effort will also advantageously incorporate and control the working class: It’s a calamity when a nation’s spirit and feeling are impoverished; so much the more that the middle classes – unintelligent, without spirit and culture – cannot educated the lower classes (who are, in fact more sympathetic and liberal (for some reason…)). The lower classes crave improvement, but the middle classes cannot provide it. • Arnold is honest with himself: uncivilized masses can become riotous masses. • Literature advertises the ‘moral riches’ of the bourgeoisie, and the achievements of the middle class (whatever those may be). It also – being a mostly solitary activity – perforce discourages congregation and collectivism. • Literature fosters pride in language and nation too; the lower classes can share in the tradition – even if they aren’t likely to have the time or ability to produce masterpieces themselves. Literature trains the masses in patriotism. • Like religion, literature works through ’emotion and experience’; it opposes the analytical thought of, say, science; no, it traffics in feeling and experience. However(! ), it is worth asking, ‘whose experience, and what kinds of feeling’. • Post-Arnold, literature is opposed to ‘ideological dogma’. It is not concerned with beliefs so much as feelings (including the felt responses to beliefs, I suppose). It deals in timelessness. And it, therefore, preserves the status quo by distracting from interrogating it. • Literature also treats the symptom of poverty by providing vicarious experiences: you can read about great travels and adventures, etc., that you couldn’t have a hope to actually live out. • In addition to the working class, English was also deemed suitable for women and unremarkable men (per a Royal Commission witness). English’s effects are understood as feminine (it softens; it humanizes). No surprise that its rise coincides with the rise of female admission to higher education institutions. • English soon, however, needed to ‘masculinize’: British capital power was losing ground to German and American; and the international scramble for empire brought about WWI. And so, there was a need for national mission and identity; the national poets, the national tradition and identity – these would become rallying points/marketing techniques for the troops. • The history of English was now especially communal – references to the Shakespearean theatre as a gathering place for all levels of society. And it helps that, during the Victorian age, Civil Service exams began to test on English literature – the imperial mind was prepared to leverage English culture as a jingoistic tool. • But the ruling-classes did not embrace it. It was amateurish and mean compared to Classics. However Classics – or philology, specifically – would, because of its Germanic affiliations, greatly lose influence during the War. Moreover, England’s (shared) victory over the Germans only inflamed national pride. Finally, the trauma of the war created a mood of ‘spiritual hungering’ – one poetry might answer. The study of English ascended through a combination of nationalism and spiritual searching amid the English ruling class. • Many of the early pioneering English academics were middle class, a class whose members were entering the traditional Universities for the first time – and perhaps, ipso facto, best equipped to challenge the prevailing scholarly assumptions. Many of them had training in other subjects, to boot. • This lot advanced English studies like few other schools have done for their fields; within ~twenty years following the War, English had become the civilizing subject, in which the essential existential questions were considered. • The Leavises launched the journal Scrutiny in 1932. THey were resisting the scholarly approach of the elites in literary studies, which inanely privileged ‘taste’. Scrutiny would commit itself to the ‘words on the page’ as the proper way to study what might have been a last vestige for creative expression in a ‘commercial’ age, literature. Elsewhere, language was devalued, made philistine; literature was vital language, creative language. And because the worth of a society can be measured in linguistic intelligence (if I’m understanding correctly), immersion in literature represented a redemptive hope for society’s soul. Excellent literature is civilization’s zenith. • Scrutiny had a gilded-age and pastoral romanticism: it looked back fondly on the agrarian society of the 17th century and the manners of the 18th. These were ‘organic’, civilized ages; and English was the discipline to revitalize civilization. • Scrutiny was also keen to canon-build: its celebrated authors were almost entirely male, mostly conservative. • And whereas other schools resisted textual dissection as uncouth, the Leavistes insisted on scrupulous analysis and rigorous discrimination – only thus could the eternal works be identified and commended. This was a ‘moral and cultural crusade’ to separate significant works of art from the popular trash of a vulgarized, alienated, consumerist society. • Scrutiny did not fight for societal change, only resistance – except insofar as they influenced academic discourse. They simply aspired to have a civilized minority preserve literature and civilization for posterity. However, n.b. (even if Leavis didn’t), education is finally part of society – as Marx said, who will educate the educators? *A NOTE: The Leavisites were put off by the grossness of mass, industrial culture – but this culture may only result in an industrial society which privileges profit above usefulness, sales above value. The refusal/failure of Scrutiny to address politics was also a refusal/failure to acknowledge the possibility of political amelioration to cultural problems. *ANOTHER NOTE: The Leavis program was inherently elitist: literature is allegedly the bulwark against spiritually corrosive populism; so, then, are those inexperienced in literature beyond salvation? Is it impossible to be unlettered and morally upstanding? And yet, the Leavisites look back plaintively to the pastoral shepherds and noble savages. Moreover, if some of those lacking literary knowledge could still be decent, perhaps some of those having studied literature could surely be reprehensible. The Leavisite answer to the question, why read Literature? – because it is edifying – is not universally true. In committing yourself to literature, there is a risk that you are simultaneously cutting yourself off from – and, indeed, surrendering your empathy for – the non-erudite masses. • The Scrutiny scholars were, as members of the middle-class, inclined to disrespect the frivolous amateurism of the impermeable clique of effete gentlemen representing the old guard of academe. But they were also keen to separate themselves from the lower classes, into which they were constantly at risk of falling. • By demanding the measurement by ‘standards’ of a literary work’s worth, the Leavisites challenged the literary aristocracy to justify their assumptions, which would also exclude those from below, ill equipped to trade in such refined currency. This lent a seriousness (a righteousness, even?) to the Leavisite purpose: they would not be as trivial and non-discriminating (via-à-vis culture) as the elites; they would not be so spiritually benumbed as the masses. However, exclusion is just another word for self-isolation. Like the Romantics, the Scrutiny scholars saw themselves as ‘real’ and ‘central’, while the world saw them as insignificant and marginalized. • The organic society, such as Scrutiny romanticized, is a golden-age myth, is pure unquenchable nostalgia. It is a historical alternative to an unattractive present, where one cannot or simply does not propose a political one. Organic society possessed, for the Leavistes, a language that was rich, complex, sensuous and particular, healthy and vital and sane, unlike the ‘abstract and anaemic’ racket of commercial society. A purer language is a purer civilization. • The Scrutiny case for ‘essential English’ was a middle-class, petty-bourgeois version of the aristocratic jingoism that first advanced English as a field of study. The war was over, ex-servicemen entered the old Universities; militant and imperialist jingoism ceded ground to home-spun, provincial, communal populism. • For the new generation of Leavisian, middle-class English zealots, the preservation of a mimetic, ‘fleshy’ language was the crucial task: down with the latinate, down with the obfuscatory. ‘Dramatically concrete’ words which ‘[enacted] their own meanings’ was vital and real – and not, as Eagleton points out, simply an alternative construction, resulting from an alternative ideology. • Eliot felt a Leavisian repulsion at the cultural erosion resulting from industrial capitalism (though, in his case, he being ‘aristocratic’, he resented the middle class’s lack of taste). He had looked to the American South, much as Scrutiny looked backwards in history, for an ‘organic society.’ Presumably(?) finding none there, he relocated to England and threw himself into reassessing the English canon. • Eliot championed the Metaphysicals because, in his estimation, their language was directly sensory – feeling became thought became language without any diminution of the original sentiment; it was undiluted, uncorrupted. But by the end of the seventeenth century, following civil war, and with the development of the secularism that resulted from the lower-class puritans’ ‘disruption’ of the Church, a ‘dissociation of sensibility’ set in. You end up with Milton, a linguistic anaesthetist. You end up with two camps, Victorianism and Romanticism, frequently a division between unfeeling thought and thoughtless feeling. Romantic talk of ‘poetic genius’ reflected the age’s chronic individualism and societal amorality. 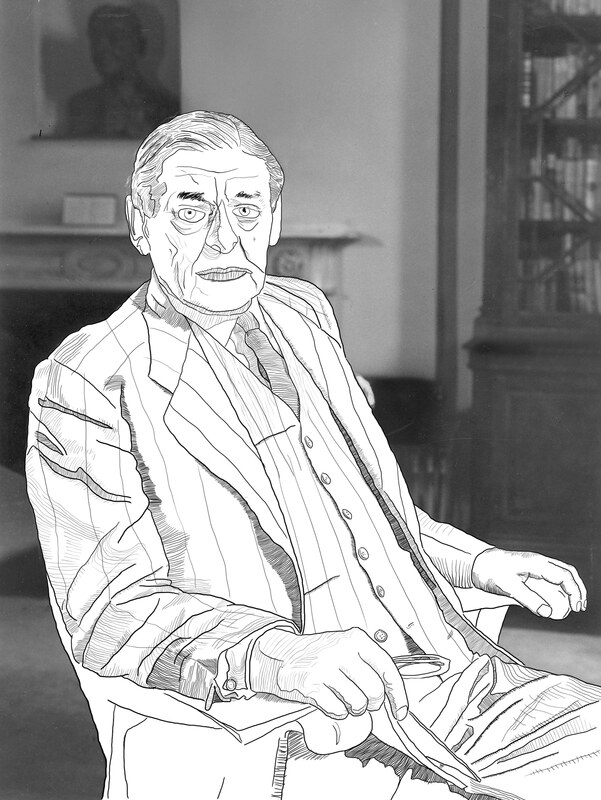 • Incidentally (and to signify how drastically aloof much of this theorizing is), Eliot was advocating for a shift towards a rural society, headed by a small aristocracy and some theological intellectuals, in which Christianity is the official religion, but mostly performed and ritualized rather than understood. While he was doing so, Hitler was annexing Poland. • Eliot was mostly unconcerned with meaning. The poetry after his own heart would infiltrate the reader’s consciousness irrationally – through sensory language, language that stirs the soul, the nerves, the depths of a reader, rather than his or her mind. Recent history had rendered language ridiculous – progress? Reason? Don’t make me laugh! Speaking to the collective unconscious through myths, symbols, rhythms, archetypes was the present goal; reawakening the soul after the butchery of war and the drudgery of industrial capitalism. • The Imagists – Pound, Hulme – shared with Eliot the notion that poetry had grown mawkish and feminine and sentimental through the Romantics; it demanded virility, physicality, grittiness. Emotions were too individualist and inappropriate to a dehumanized age; ‘spontaneous-creative Life’ was required (whatever that means; the honest, unadorned representation of images from reality, I suppose). • Scrutiny also championed Life, though without denouncing individualism and ‘interpersonal creativity'(?). But Life was sensed and not known; it was intuited. And, eventually, Life’s separation from political realities combined with its social-critical temperament led it to become (though I don’t suppose things needed to turn out thus) little more than a crotchety denouncement of popular culture, mass education, and the cretinizing produced by technological proliferation; it was full of unhelpful regret and misanthropic disdain. • Practical criticism – unlike belle-lettristic approaches – resisted sanctifying the text and endorsed textual dissection. It also assumed that literary greatness could be judged without considering the text’s cultural-historical contexts: whether a work ‘manifests a concrete feel for immediate experience’ – whether, that is, it engages with real life in an artful manner, is observable prima facie; you don’t need to bother with contextualizing to figure this out. • The Leavisites struck a curious balance: since Life in art was only assessed intuitively, they could attack systematic schools with the confidence of initiates; since Life is as deadly serious as can be, they could also attack “utilitarians and empiricists.” Life is of fundamental importance, but a-theoretical; it could defend against the artless on the one hand and the systematically artful on the other. • ‘Close reading’ is a curious term: yes, it focused attention onto the text itself (and away from the fodder for ‘aestheticist chit-chat’), but it also limited attention to the work itself and not, say, the context in which it was produced – it reified the text. • The Cambridge critic I. A. Richards also saw literature as the bedrock of humanity – but whereas Leavis wished to ground his criticism in religiosity, Richards did so in ‘scientific’ psychology: the human psyche has come unbalanced as scientific progress diminishes the centrality of traditional mythologies. • Richards believes science provides an admirable model; but it asks the wrong questions – “how?” instead of “what?” or “why?” (Though these are, he believes, illegitimate questions, he acknowledges most people disagree; poetry, then, organizes our feelings about the world rather than objectively describing it.) Richards tries to prove the utilitarian usefulness of art: it organizes our impulses so as to reduce conflict between them. • With figures like the Southern intellectual John Crowe Ransom, American New Criticism began to crystallize thus: sterile and alienating scientific rationalism (as ran rampant in the North) “was ravaging the ‘aesthetic life’ of the old South, human experience was being stripped of its sensuous particularity”; poetry might offer a solution, through which the sensuousness and affect of human experience would be respected. • For the New Critics, poems were ‘perfect,’ in the sense that they could not be paraphrased, and their function was to model coherence, unity and integration; such modelling would serve, in a sense, to correspond to reality itself: a good poem fits together just as a functional society fits together, or the former encourages the latter (or something like that). • The New Critics wanted the poem to be an ‘object in itself.’ This would define a break with Richards’ approach, which looks at the text as a document of the author’s psychological processes. Regarding this approach, incidentally, there are problems with it: i) It sees all literature as covert autobiography; literature is unreadable per se; ii) This ‘seems’ unhelpful when considering, say, fairy tales or courtly ballads; iii) What’s the point? The only ‘part of their soul’ we have access to is the part that’s in the text – we can’t a-b the text and the mind, and determine what has been translated and what hasn’t, etc. • The New Critics (re-)materialized poetry, dissecting it objectively and systematically: they’d identify ‘tensions’, ‘paradoxes’ and ‘ambivalences’, and ‘proving’ how such things were resolved, or how such things demonstrably modelled reality itself. • To be honest, such objectivity may have simply been an attempt to legitimize the discipline, i.e. to make it more scientific in an intellectual milieu which privileged the utilitarian, material nature of the hard sciences above the effete, subjective, irrational leanings of humanities’ methodologies: no longer an alternative (or, perhaps, a corrective) to ‘technocracy’, the study of literature had ceded the argument and attempted to out-science the scientists. • Another reason: It was amoral. In a highly ‘ideologized’ period (the Cold War), there was something attractive about an analytic philosophy that required no political, ethical commitment: looking at the contending impulses in a poem was a world away from denouncing McCarthyism or agitating for civil rights; or, rather, it inoculated the reader against caring about such topics, for he or she could rest assured that all such concerns were part of a global equilibrium, balanced somewhere out there by their opposites. It was a justification for political inertia and the perpetuation of the political status quo. • New Criticism (or Cleanth Brooks, anyway) saw in poetry a collection of attitudes which are arranged in a harmonious, coherent hierarchy; J. C. Ransom compared this arrangement to that of a democratic state. Eagleton lambasts this viewpoint as a justification for brutal class hierarchies, which can be argued as resulting in an unfair-but-balanced national populous. • Empson was also a very attentive critic, but less doctrinaire; he sees poetry as a type of ‘ordinary’ language – it can surely be paraphrased; its authors’ (likely) intentions can be considered; social contexts give the words true meaning. New Critics’ ‘paradoxical’ poems are resolvable and unified; Empson’s ‘ambiguous’ poems are endlessly open to interpretation and can never be solved to perfection. The New Critics and Richards search the text for meaning; Empson understands that the reader will impose his or her specific catalogue of meanings. Créer le navire ce n’est point tisser les toiles, forger les clous, lire les astres, mais bien donner le goût de la mer qui est un, et à la lumière duquel il n’est plus rien qui soit contradictoire mais communauté dans l’amour. Praesent eu massa vel diam laoreet elementum ac sed felis. Donec suscipit ultricies risus sed mollis. Donec volutpat porta risus posuere imperdiet. Sed viverra dolor sed dolor placerat ornare ut et diam. Aliquam quis nunc quam. Maecenas. Thank You very much. You are helping me Graduate.